A workshop based on Dr Tavantzis’ best selling book- Hard-wired: Discover Your Talents On the Road to Delphi. 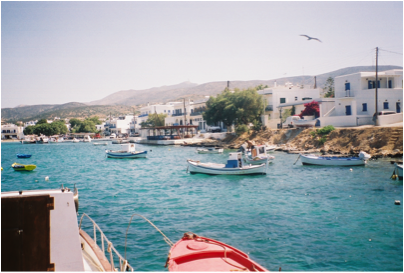 Once again, as they have done each summer since 2008, Martha and Dr. Tom Tavantzis invite you to a small group personal development workshop experience in Aliki, Paros, Greece. This summer’s workshop will be delivering our proven, cutting-edge program for individual and couple development: The Highlands Personal Strategic Planning Program. This program introduces participants to our 8 Factor Whole Person Model (see www.imdleadership.com) creating an experiential opportunity for participants to focus on developing their own personal and career vision in a safe and supportive but challenging setting. To make the best use of our time together there will be pre-work (in the Participant’s Digital Manual plus the Battery Assessment (tHAB) that need to be completed) sent to participants 2 weeks prior to the workshop. 8am-1pm ~ How are you Hard-wired? The 3-day workshop fee is $950pp, U.S. payable by July 11, 2015. This is payable via credit card (Visa or MasterCard), and/or PayPal. Fee includes all group sponsored welcome, lunches and dinners, 2 books 1 manual and your Ability battery plus your 2 hr individual feedback consultation and 3 follow-up sessions via Skype. To learn more or reserve your spot, please contact us today!